Containing 75g of luxury milk chocolate, this Mini Advent Calendar is a great desktop seasonal gift with a stand incorporated into the back! 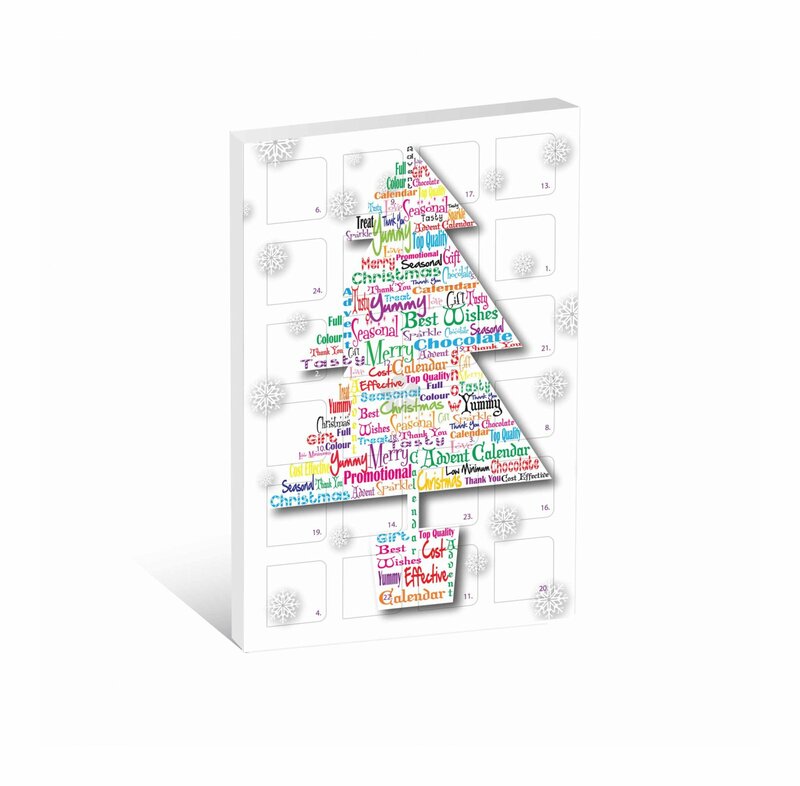 Printed in full colour, as standard, onto 270gsm high quality food grade card with either your own design or one of our standard templates and supplied individually shrink wrapped this product will make a great Christmas gift! Printed in full colour as standard. A5 Size - Quirky size!